The Sigelei MT is a high performance 220W TC Box MOD powered by dual 18650 batteries. Inspired by sci-fi element, the MT MOD features a transparent front panel with vibrant LED lights for visual enjoyment. Together with highly powerful working modes, MT 220W TC MOD is a superb vaping device for you! The Sigelei MT 220W is a high-end and cool TC Box MOD with unique transparent front panel and eye-catching LED light for visual enjoyment inspired by sci-fi element. The LED light of MT MOD sparkles and creates a sense of outer space. Moreover, Sigelei MT features advanced TFT display to show essential status clearly. What’s more, powered by dual 18650 batteries, MT Box MOD supports 220W max output power with excellent TC/VW modes to meet your different vaping needs. With the super heat dissipation function, Sigelei MT 220W MOD is absolutely a good vaping device for daily use. • It doesn't come with Li-on batteries. You need to buy 18650 batteries separately. 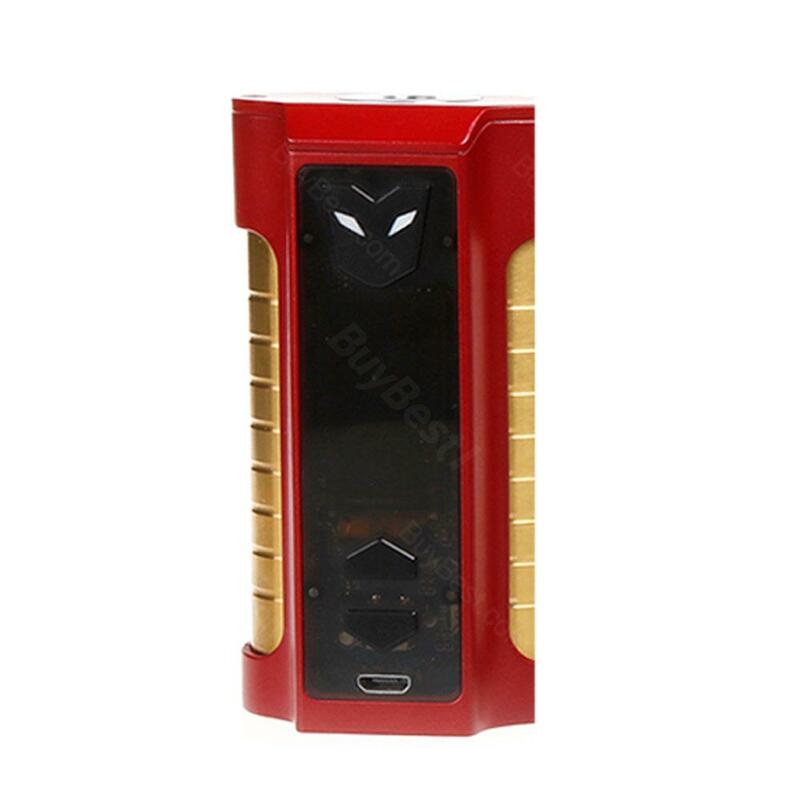 The Sigelei MT TC MOD I purchased is of high quality and I will be your repeated customer. I have not used the TC MOD before and this is my first time to purchase TC MOD, which is wonderful, thank you. I would like to recommend Sigelei for TC MOD lovers. The service is amazing, as well as the shipping. This Mod is good price and you will love it, just believe me!